Scottish meat exports increased by 11 per cent in 2016 but farmers and crofters have not benefited, according to NFU Scotland chief executive Scott Walker. About 90 per cent of Scottish red meat exports went to Europe in 2016, with German exports up by 23 per cent. The meat export category was worth £72 million. 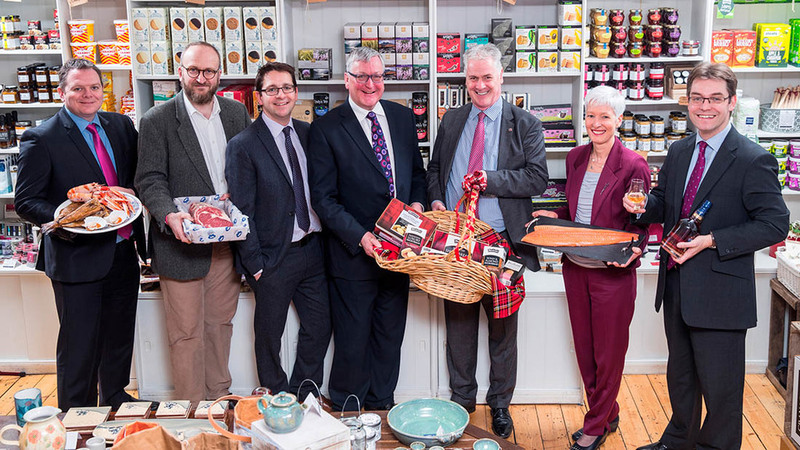 Rural Economy Secretary Fergus Ewing said the figures showed the importance of retaining access to the European market. "We should not have to face the choice between remaining as part of the UK and the EU single market. The pursuit of a hard Brexit is a major threat to this success and these figures show why we must work to protect Scotland’s place in Europe,” he said. Mr Walker said some politicians would use the figures to show the threat to Scotland from a ’hard Brexit’ with others saying it showed the potential of Scotland’s export ‘unburdened from European Union ties’. “But few will point out that while the food and drink industry may be booming, this success is not being felt by our farmers and crofters,” he said. Laurent Vernet, Quality Meat Scotland head of marketing, said the figures highlighted there were opportunities both inside and outside of Europe. “We have also been working hard with other trade partners such as Scotland Food and Drink, Scottish Development International and the UK Export Certificate Partnership to open key markets such as the US, China and Japan which offer exciting opportunities for the future,” said Mr Vernet.